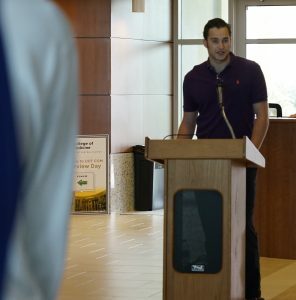 “I could not reconcile how people could harbor such hate for people who pray in a different way, or if they look a different way,” said UCF medical student Joseph Ziebelman as he addressed students, faculty and staff at a vigil for the victims of October 27’s Tree of Life Congregation Synagogue shootings in Pittsburgh. Students organized the Nov. 2 vigil to bring the medical school community together to acknowledge and grieve the eleven people killed in the shooting. During the event, students of the Jewish faith shared their thoughts about what it is to be Jewish in these divisive times. “It’s about being part of a people. A people with a vibrant culture full of songs, language, food, and more. This culture has been passed down for thousands of years,” said Ziebelman. 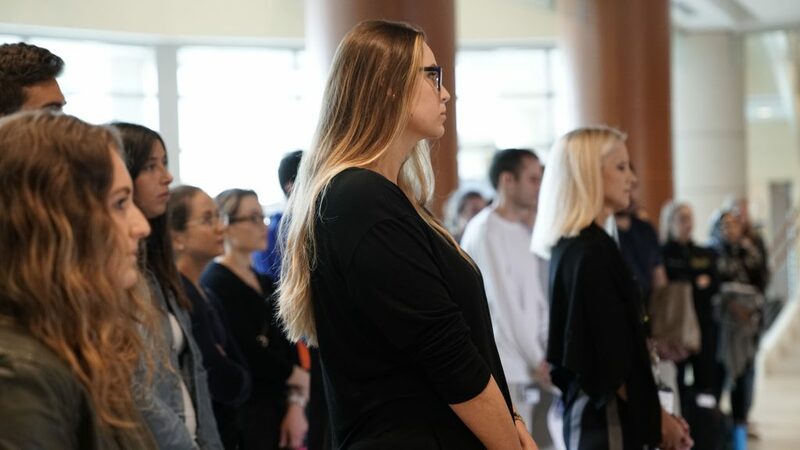 That sentiment was echoed by second-year medical student Debbie Shimshoni, who said that Judaism’s deep roots and history can never be destroyed and should never be forgotten. 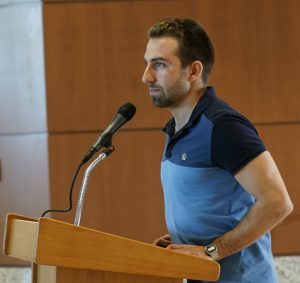 First-year medical student Matt Abrams urged colleagues and friends to commit themselves to tolerance and acceptance, and to embrace others who might be suffering because of their differences. Yet in the midst of unimaginable hate, Pittsburgh united in compassion, said second-year medical student Jake Friedman, who talked about the Jewish nurse and doctors who were first to attend to the shooter’s injuries. The overwhelming message of the vigil was resilience, understanding and hope as students sang Oseh Sahlom a Jewish song of peace, and urged everyone to stand together against hate. The vigil ended with a moment of silence and solidarity.